Apple's annual Worldwide Developers Conference dominated much of the month but June also saw awards season —with Apple both giving and receiving trophies. May 2018 had been full of conflicting claims about how well or badly the iPhone X was doing. However, cast your mind back now to June when there were a truly startling number of fires in the US, quite a few protest marches, and the world waited for the 72nd Tony Awards. There was also that little thing more relevant to our audience, WWDC 2018. 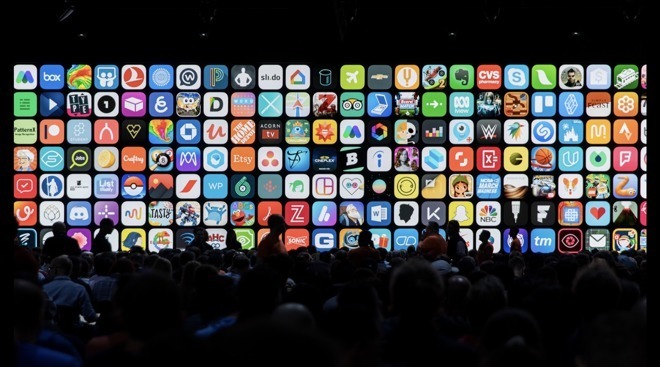 From June 4 to June 8, Apple held its annual Worldwide Developers Conference at the San Jose Convention Centre in California. It's possible that you heard about this one —it's where Apple unveiled macOS Mojave, iOS 12, watchOS 5 and Dolby Atmos on the Apple TV 4K. It would take some months before we all got to use these out of beta, but we saw them with great features like Group FaceTime, and we looked forward to September or so when they'd be out. 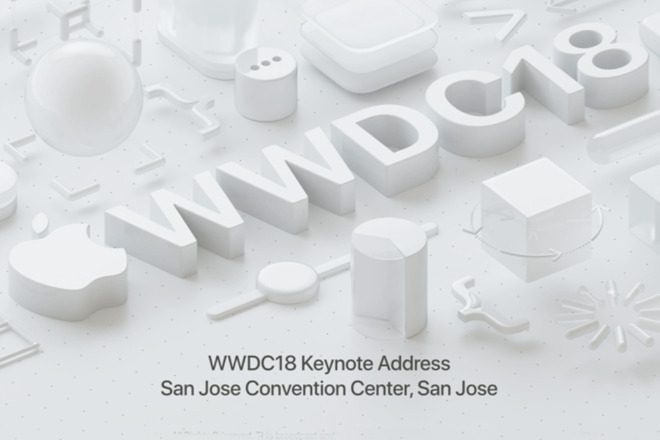 We tend to think of WWDC as being synonymous with its opening keynote speech but it's really a week-long event. And part of that includes Apple giving awards for design. This year's winners ranged from the famous Alto's Odyssey to the then lesser known storybook, Florence. WWDC wasn't the only event in June, though, and Apple wasn't the only one giving out awards. This month Apple itself received many, including one for Spike Jonze's mesmerising HomePod advert. It earned top honors at the Association of Independent Commercial Producers Show in the category of Advertising Excellence/Single Commercial category. 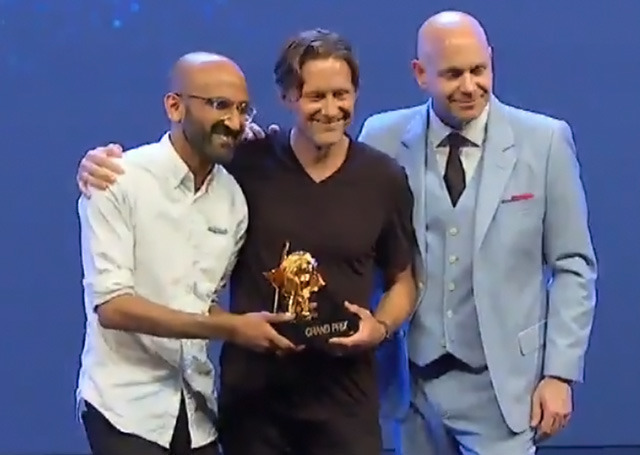 Later in the month, Apple also won the Brand Experience & Activation Grand Prix at Cannes Lions for its work with Today at Apple. This is the umbrella name for all events that are held within Apple Stores and so far it's the most visible aspect of retail vice president Angela Ahrendts tenure. The award was collected by Apple's Hashem Bajwa, Marketing Director and Karl Heiselman, Senior Director. 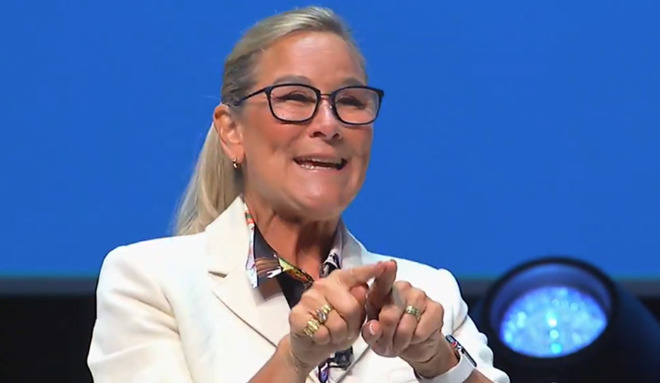 Ahrendts, though, was at Cannes Lions and spoke there about the whole future of retail. Not surprisingly, she said that retail has a great future. This is someone we see running Apple's hundreds of physical stores but she also heads the entire online shopping arm. She doesn't see them as rivals and she definitely doesn't see online replacing bricks and mortar. "The smart outside guys, they don't say retail's dying," she said. "They say digital's going to grow at three times the rate of physical. But in the next five years... 75 percent of the people will shop online — shop — but 75 percent of the business will still be done in physical stores." Ahrendts knows more about retail than we can imagine and she must also have every figure you can conceive of about how the Apple Stores work. All we have is a statistically unsound and unprovable sense that these days we get far worse service at Apple Stores than we used to. If we find the shine sometimes goes off Apple Stores, Apple itself hangs on in there as a firm with brand value. It gets muddy because this time when the company Brand Finance did whatever it does to assign scores to firms, Apple simultaneously slipped, stayed where it was and in one way actually improved. Clearly you can do anything with statistics but people must pay this Brand Finance lot so you'd expect some clarity. What happened is that Apple's spurious brand value went up 37 percent to $146.3 billion and last year's leader, Google, fell because it only increased its value by 10 percent. Even so, Apple remained in second place because Amazon zoomed up over it to grow 42 percent to $150.8 billion. Are you following this? Apple also improved because it used to lead all this until last year when Google briefly overtook it. Mind you, this all seems good compared to Tim Cook's rankings in Glassdoor's list of CEOs most popular with their workers. In 2017, Cook was 53rd but this May he fell to 96th. The man has barely had enough time to absorb the fall to being 53rd in 2017 after having been 8th in 2016. You haven't heard of most of the CEOs who beat him, except for obscure ones like Facebook's Mark Zuckerberg (16th in 2018), Microsoft's Satya Nadella (20th) and Google's Sundar Pichai (45th). Similarly, you haven't heard of the ones he beat, either, but since the chart only goes up to 100, there weren't too many of those. Reportedly, the reason for his tumble down the popularity stakes inside Apple is a combination of the pressure and secrecy in the company. Do note, though, that even with all of this, Glassdoor gives him a 91 percent approval rating. The man isn't exactly disliked. Just before his internal ranking was announced, Tim Cook was off boosting what people think of him outside the company. Specifically, what they think of him and Apple in Ireland. Previously the European Commission forced Apple to pay more tax in Ireland. Then protestors made building a datacenter there take years too long so Apple pulled out. Now read on. "Honestly speaking, we didn't come to Ireland for tax," Cook told The Irish Times. "We came to Ireland in 1980 because we saw a community we thought we could grow, and could do a number of things to support the continent. We've stayed on course on that over almost four decades. It hasn't been a straight line —life isn't a straight line, things go up and down —but it's always been in a trajectory that is increasing. I don't anticipate that changing." 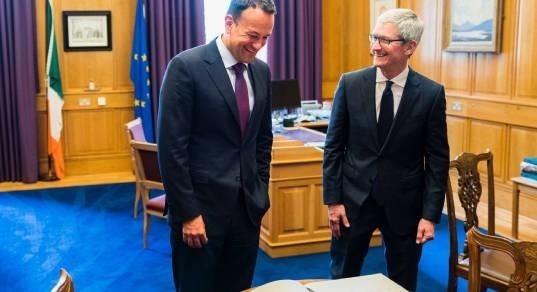 Even despite cancelling the $1 billion datacenter, Apple employs 6,000 people directly in Ireland. It also has more than 300 suppliers there. Tim Cook consistently blurs the lines between Apple doing good for the world and Apple doing good for itself. We're not saying that's wrong, it's just interesting that he perhaps can afford to have this broader view than most business CEOs. "It's always struck me as bizarre that there's a fixation on how many units are sold in a 90-day period," Cook said in an interview on The David Rubinstein Show for Bloomberg that aired in May. "We're making decisions that are multi-year kinds of decisions. We make it very clear that we don't want to run the company for people who want to make a quick buck." In that same interview, he spoke about Steve Jobs's ability to move Apple in directions that ran counter to the rest of the industry. You can still see that today whenever Apple ditches some technology and other firms gasp. However, you can also see how Apple is different under Cook than it was under Jobs. It's hard to imagine Steve Jobs, for instance, ever bringing back an old product but that's what Cook did in May. 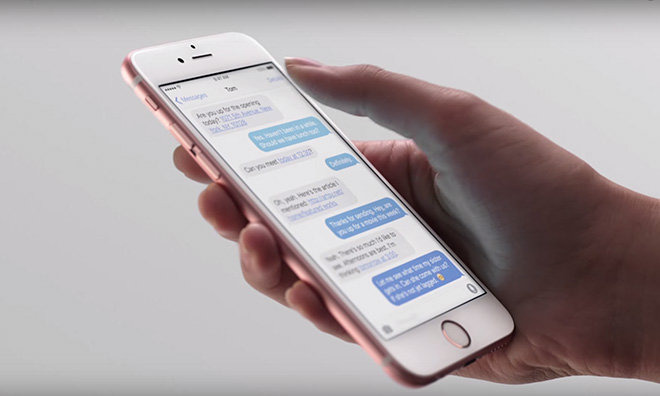 According to India's The Economic Times, Apple started producing the iPhone 6s in the country. This time there was nothing to do with building communities, it was about avoiding the duties on imported iPhones. Strictly speaking, this wasn't an old phone in the sense of it having been discontinued. Even though the iPhone 6s came out in 2015 and had since been replaced by the iPhone 7, 7 Plus, 8, 8 Plus and X, it was still on sale everywhere. It wouldn't be discontinued until September 2018. The old Apple wouldn't have held on to old phones quite so long but the company is transitioning again. Where it was once solely about computers and it moved into the whole consumer electronics space with the iPod and the iPhone, there were more signs in May that it's becoming a media company. Apple has long had the iTunes Store and it's not made a very good secret of the fact that it plans to launch a streaming service. Yet throughout 2018 we got more news and more whispers of different deals. In May, we saw something else: Apple formally became a signatory of the Writers' Guild of America. This really is a case of Apple doing the right thing but it's also another case of it making moves that could affect the entire industry. The current Guild agreements in the US are due to expire in 2020 and these Minimum Basic Agreements will be renegotiated with all streaming companies. At the same time, Apple also signed a deal with Ophrah Winfrey to develop programming. Apple's streaming service is not going to be half-hearted. Still, until the company is making more than the odd product advert, we do have alternatives such as Conan O'Brien's take on the company. We nearly made it to the end of June without predictions of disaster, but not quite. 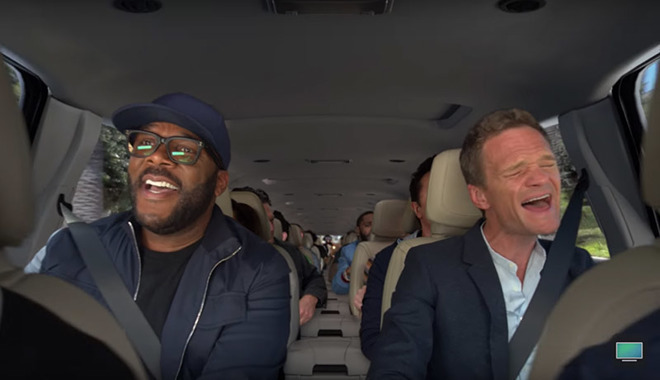 Remember when this was: the Tony Awards, the fires, the iPhone X hasn't had its first birthday, and then we get this. "The total planned capacity [or number of phones made] could be up to 20 percent fewer than last year," an unnamed source in the supply chain told the Nikkei Asian Review. It's June. We've got until September to hear "new" predictions of doom, the over-hyped predictions of the wishful, and everything in between. Brace yourself. Read the next part of AppleInsider's 2018 review. It's only on reflection that you find July contained a lot of news about Siri but we didn't need long-term testing to come to some conclusions about Microsoft's Apple-killing new Surface — or to back away from taking photos on a Samsung. Take a look at Apple's July 2018.